We caught about ten minutes of the Olympics by accident over the weekend and were inspired to invite Michael Phelps, water athlete, to our studios so that he could have a portrait done in his true form. 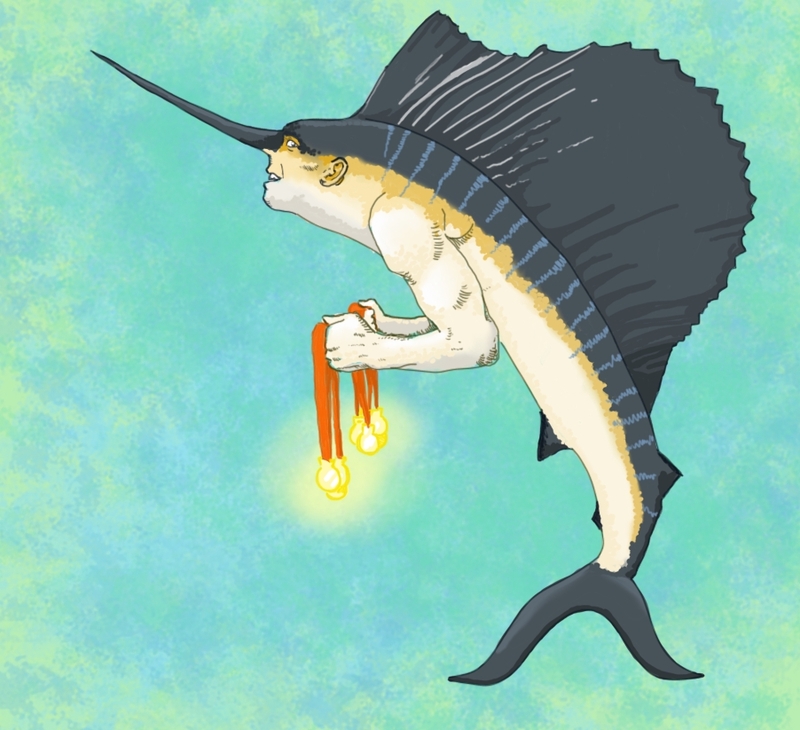 It will surprise no one to hear that Mr. Phelps is in fact a magical sailfish that boldly stole the arms of Poseidon, who is known to be God of the Sea. Now that he is officially retiring, for real this time, with many more medals than any other mortal human, he felt it was safe to reveal his true form. Way to go, Michael Phelps. I always thought michael to be more of a Marlin not a sail fish.